Border Roads Organisation is all set to begin its work to reopen the Manali – Leh Highway and if the weather remains favorable, they will begin their work from the 1st of March 2018. 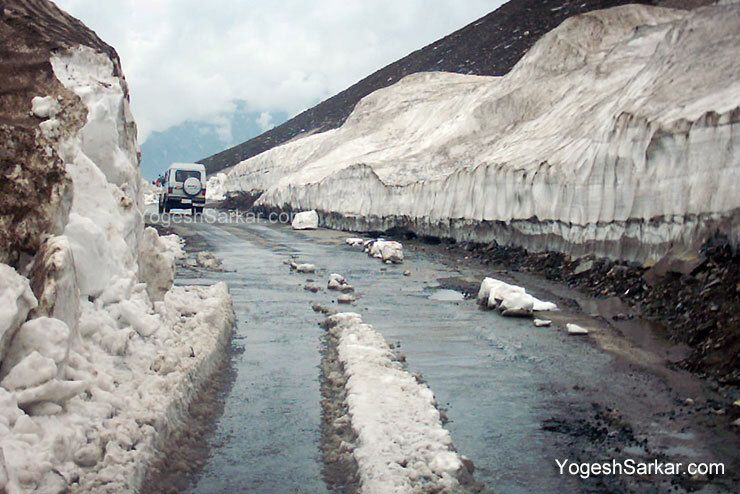 Work would initially commence on reopening of the Rohtang Pass with BRO teams working from both the sides (Manali and Lahaul) to clear the pass and later on the focus would shift to reopening of rest of the highway with work to clear the remaining passes (Baralacha La,Nakee La, Lachulung La and Tanglang La) and road by the BRO teams from Lahaul and Ladakh. This year the Himalayas in India have witnessed paucity of snowfall, leading to just 5ft snow accumulation at Rohtang Jot and Baralacha La. Generally the snow at these passes is over 20ft. Unless we witness heavy snowfall in February as well as March, the Manali – Leh Highway has a chance of being reopened in the month of May or even late April! Even though this news might be music to the ears of few, lack of snowfall is not only detrimental to the ecology of the Himalayas but also the plains which depend on the water from the rivers originating in the Himalayas which are fed by the melting snow during summer months. Once the Manali – Keylong route is reopened, the work is also expected to resume at the Rohtang Tunnel, which had been opened for locals and emergency work this year in winter and is now expected to see work to finish up the building of road through the tunnel and putting in place other infrastructure needed to allow vehicular traffic to ply in the coming years. I will post more updates once the work begins on the Manali – Leh Highway and as it is eventually reopened for the 2018 tourist season.